Sachin Tendulkar “God of Cricket” retires today from Wankhede stadium Mumbai. For all lovers and fan followers of Sachin it is emotional moment as they will not see batting hero, sport icon Sachin Tendulkar on crease again. On this occasion we thought to share some important personal finance lessons from Sachin Tendulkar’s Career. If you are young investor and fan of Sachin Tendulkar you must read and follow these lessons carefully. 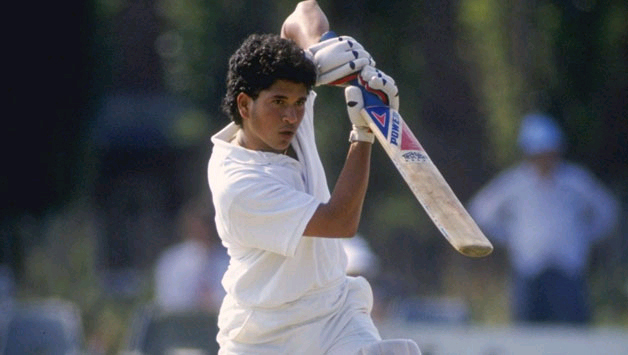 Sachin Tendulkar started his career when he was just 16 years old. Similar to Sachin Tendulkar we should start our investment earlier. Most people fail to start investing early. Remember staring investment at earlier stage means giving more time to your money to grow. You should start investing as soon as you start earning. Sachin Tendulkar is epitome of discipline, he remains in discipline weather he hits century or gets out on duck. Sachin Tendulkar teaches us to remain in discipline. Your stock market portfolio may get ups and down but if you follow discipline & stay invested success will touch your feet. World knows Sachin Tendulkar for his dedication & Hard work in cricket. Due to his dedication is known as God of Cricket. In world of investment if you approach every investment decision with dedication it will defiantly help you. Due to your dedication you will able to identify correct investment opportunity which other will not able to do. Sachin Tendulkar always desire good cricket score and he always remains hungry despite of having all records on his name. In world of personal finance you should always remain hungry to learn new concepts. Remain hungry & give food for thought in terms of finance & investing. Many times we see Sachin Tendulkar making simple mistake while playing ball. In world of investing making mistake is fine, probably you may end up by losing money by doing wrong investment but repeating same mistake again and again is not advisable. If you have observed Sachin Tendulkar carefully you can say that Sachin never play rash shots like other player, this is because Sachin knows what to play and what to avoid. In world of personal finance you must know things to avoid. E.g You should avoid making investment by borrowing money. You should avoid investing in stocks which are more risky. Sachin Tendulkar adopted right strategy at right time. It reminds me about famous match of 2004 where Sachin played 241 runs and remain not out, in this match he scored majority of run onside he does this thing deliberately as he was dismissed several time in series while playing storks on off side, so in this match he has adopted right strategy at right time. Making correct strategy at correct time is very important in world of personal finance. Making investment decision based on strategy will help you in generating more returns. Sachin Tendulkar always remains focused on Goal. His one & only goal was to win World cup for India he remain focused on same and finally after 24 years in 2011 India won world cup again. Lesson learned is we should always remain focus on our goal & we should always take effective steps to fulfill this goal. Sachin Tendulkar Started his career when he was 16 years old and he retires at age of 40 years. Not only that, he is retired with lot of money in hand. Apart from cricket he has made lot of money by doing advertisements. He has started his career at very young age and taken retirement at young age with lot of money. Lesson learned here is we should put our effort to retire young and retire rich. Sachin Tendulkar has made lot of money from cricket and advertisements not only that he is wise enough to invest this money in various asset classes, He has made investments in restaurants, real estate and businesses to take complete advantage of the benefits of compound investing which undoubtedly secures his future financially and also his children. Similar to Sachin Tendulkar we should also diversify our investment in multiple asset classes. 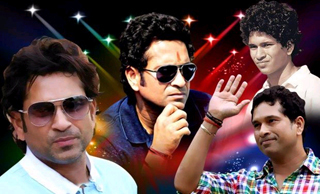 Finally if you are fan and follower of Sachin Tendulkar Do shares these lessons with others!